Women Have Unique Financial Needs - Women and Money Inc. The article gets off to a good start by raising several important issues. The article says that women don’t have a good sense of the big financial picture including mortgage and RRSP details. Interesting the first item missing was the notion that anyone might have creditors. “Where is the debt?” I asked. They talked about mortgages and RRSPs but nothing about student loans, car loans, lines of credit or credit cards. Who are they talking about or to? It always amazes me how the personal finance section of the newspapers talk only to a very small part of the population. Debt is swept under a very obtuse carpet of monthly bills or a mortgage as if it is a trivial thing or perhaps doesn’t exist at all. Nothing could be farther from the truth. Debt gets tacked on to the family budget at a very early age. University students are offered credit cards and student loans without too many questions being asked about income and the future when debt repayment comes to the door. It seems to me that we need to talk to women (and men) about borrowing money before they get into debt. This is the very real challenge for young people. What kind of car can they afford? How much can they afford for housing? How will they pay back the student loan? Should they not pay off the credit card in thirty days? Is it possible to save when you have significant debts and high interest charges? This is the missing link. People are told to save 10% of their incomes, invest and get a retirement plan and everything will be fine. However, life doesn’t work quite like that for middle and lower income families. They have to acquire basic assets by their own means as their parents cannot afford to provide them. They have no choice about borrowing – for a number of things like cars and post-secondary education. It has been my experience that neither men nor women know enough about the perils of debt, or how the idea of living the high life in retirement clashes with a very different reality of marital discord and breakdown because of financial shortages. That said, women do still sit in the passenger seat while their husband drives the bus. There are still far too many families where the man makes all of the major financial decisions while the woman changes the diapers and pays the domestic bills. Cases such as the 1992 Supreme Court of Canada Moge v Moge decision responded to the feminization of poverty by marital breakdown. Also in the 1990s an Australian court coined the phrase “sexually transmitted debts” to highlight abusive practices in relationships where women (wives) were victimized by unscrupulous husbands. Today we live in an overextended world in constant crisis with debt and debt ceilings. It is not enough to ask about a person’s income. We have to know about the debts – all of them. Relationships should be founded upon honesty and equality. Both spouses have an equal responsibility to keep the debt to a minimum and protect the family assets against unforeseen events such as illness and job loss, marital breakdown or a business failure. 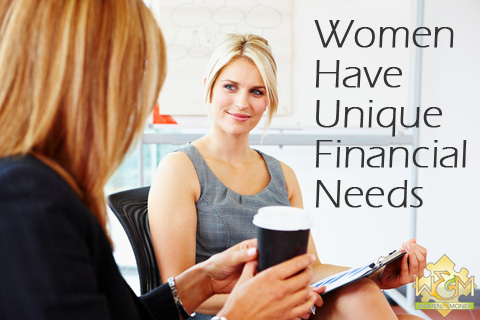 Women have unique financial needs – no kidding! Tell me something I don’t know!